At Mitton, we recognised early that BIM (Building Information Modelling) was the way forward for the construction industry. BIM gives us a totally new way of working and managing information, using a digital model which holds all the essential data for designing, constructing and maintaining buildings. 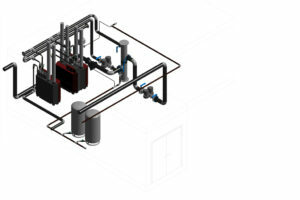 This model can be shared in a team environment, ensuring any issues or errors are resolved by working together at design stage rather than on site, saving money and increasing efficiencies. 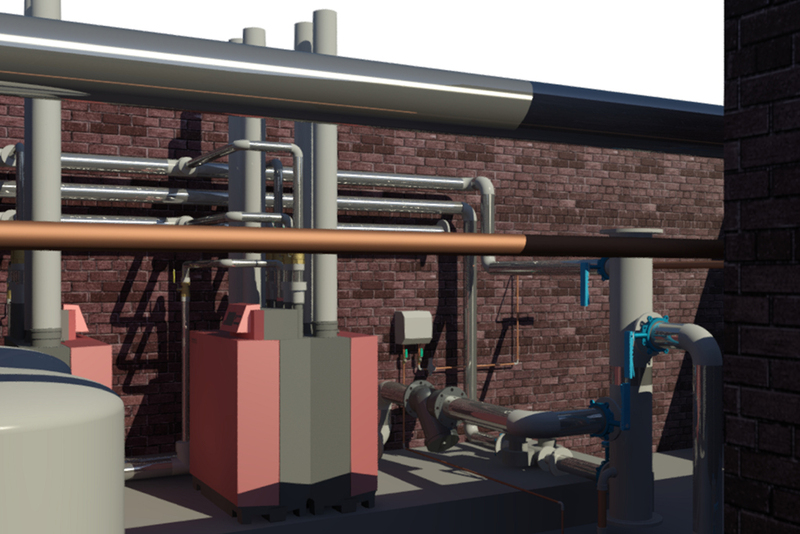 We’ve focused our development work on the popular Revit platform, which provided us with the best fit in terms of the Autodesk systems we were already using. Our team is now actively implementing this new way of working, producing 3D drawings that cover every angle. Our engineers can drill down into programs to see if the proposed services fit the spaces, enabling our clients to view more angles and achieve a much improved visual perspective. We can model entire buildings including all other installations, meaning Revit gives us a vital coordination tool for use at design stage to simplify inter trade cooperation. This is probably one of the biggest advantages Revit brings to the table. BIM is already proving beneficial for the construction industry and also, further down the line, for asset registration. Although the industry and the Mitton team are still learning and developing the potential for this powerful new tool, we continue to invest in training and expertise to ensure we retain our position at the forefront of the mechanical services sector.